To be honest, the first time I read the sample provided by Amazon I thought the screenplay style of writing was kind of a gimmick. I filed the book away to check out later. It went on sale for three dollars, at that point I thought it was worth three dollars. I was wrong. The book is worth the full price. Castalia House has been publishing books that not only have I enjoyed to read, but ones that I find to be outstanding. This is no exception. Characters are well drawn and developed. Settings feel solid. The scifi is grounded in our current understanding of physics and then adorned with consistent scifi explorations of 'what if' with just a smidgen of handwavium. The format allowed the author to quickly set the scene with an economy of words. The plot lines are far reaching, some action at the beginning has consequences in the future. The growth of the characters is part of the unfolding of the plot. I found it to be touching at times, the action well done, the good guys easy to root for, and the bad guys easy to boo at, and the military aspects to be well integrated. The book at time reminded me of the golden age of science fiction, the can-do attitude of our heroes, the upbeat note for humanity and the idea of men and women reaching for the stars against all obstacles. On top of that, Nelson discusses deeper ideas of what makes a civilization worth fighting for, and what makes a people worth a civilization. He does so in a manner that flows easy with, and fits into, the plot and characters. At the risk of a spoiler, the Taj AI is one of the best ship AIs I've ever read about. If you read this book, you'll see what I mean. He works in nods to other science fiction works, theatrical, television and literary. Some were subtle, others not so much, all of them fun to find. I really hope he comes out with a sequel. 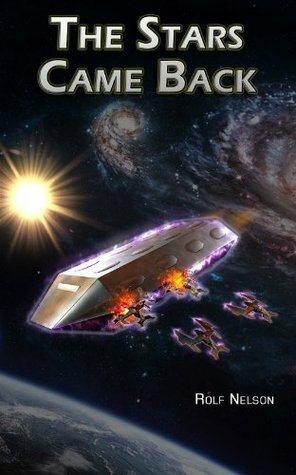 Sign into Goodreads to see if any of your friends have read The Stars Came Back.